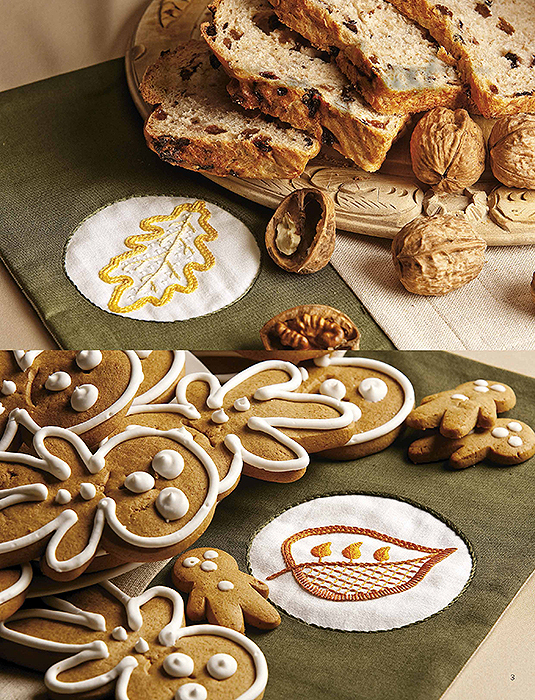 Set a welcoming table with these delightful linen and cotton placemats, embroidered in rich autumnal shades. 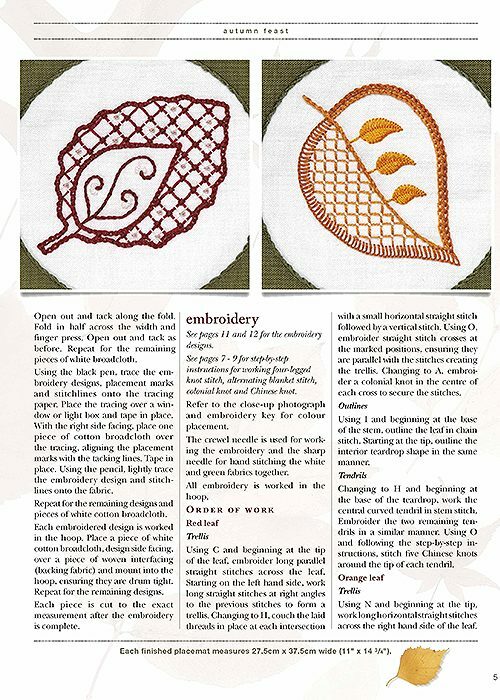 Each of the four natural linen mats has a side panel of olive green broadcloth, featuring a window opening filled with an elegant stylised leaf motif. 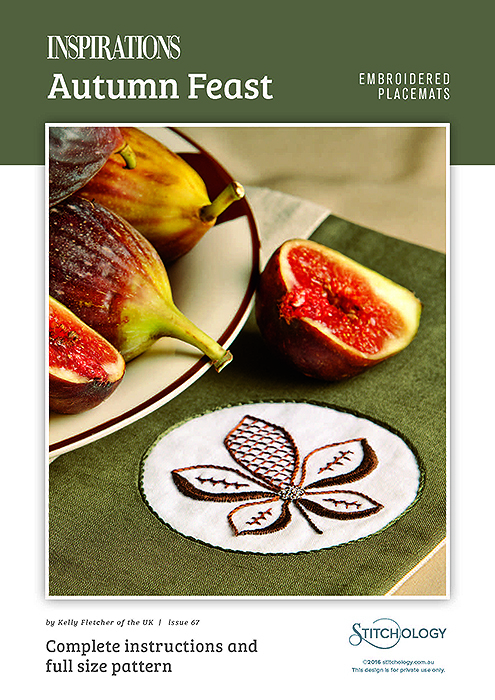 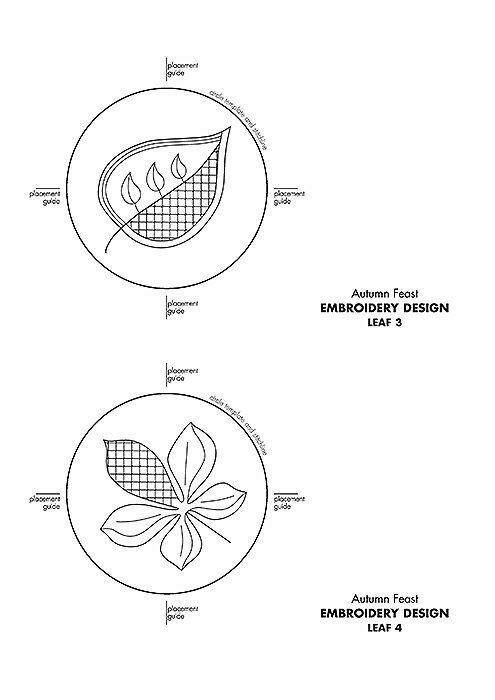 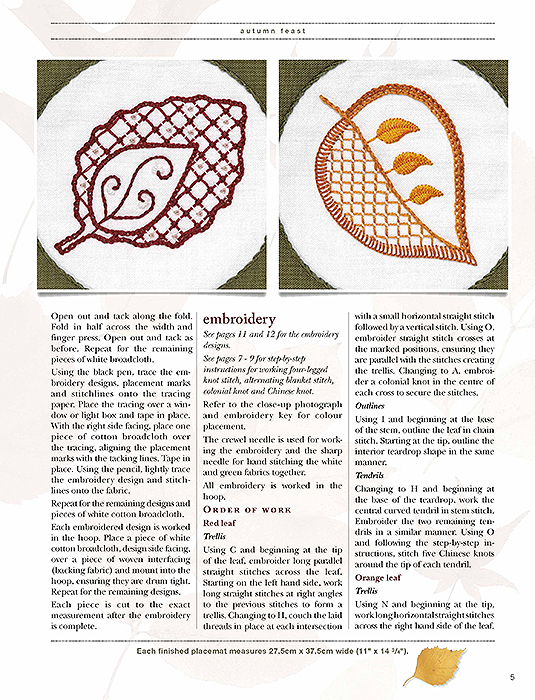 Stitched with stranded cotton, the embroidery is reminiscent of traditional Jacobean designs.